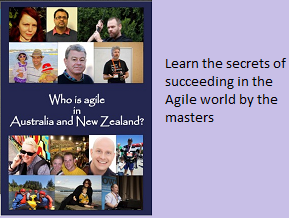 Looking forward to attend the Agile Australia sessions starting tomorrow. Looks like the venue is running with full capacity with conference tickets sold out. We have so many good tracks running in parallel, and it is making me difficult to decide the sessions. Feel free to follow the conference using the Twitter hash-tag #Agileaus.